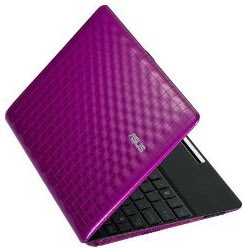 Hi Ladies, Asus is back with the hot pink netbook computer that will become women trendsetter. This netbook interface is very artistic and tempting. That’s no wonder because a well known and talented US industrial designer's Karim Rashid uses his touch on ASUS Eee PC 1008P. Karim Rashid is a highly respected designer because achieve 300 awards from 150 countries. He's effort makes this netbook so artistic. Beside the hot pink seductive color, ASUS and Karim Rashid collaboration produce a classy coffee brown color for the professional people. Unlike other netbooks, the Eee PC 1008P Karim Rashid’s casing is not plain at all. It’s very human sense that emphasizes on vision and touch. The casing has a textured pattern of shell or some people said looks like small squares. When you touch the casing, the bumpy feels will come up that creates a pleasant sensation. So girls, don’t lose a chance to be a trendsetter with own a luxury design netbook by collaboration of Karim Rashid and ASUS. 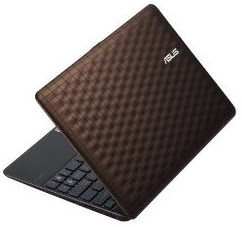 ASUS Eee PC 1008P Karim Rashid collection can be bought on Amazon for $494.67 (classic brown) and $489.99 (hot pink).